MOTORISTS in Tanzania will be forced to spend more this month to cater for the rise in fuel price announced by the Energy and Water Utilities Regulatory Authority (EWURA) in Dar es Salaam yesterday. According to the report, retail prices of Petrol, Diesel and Kerosene have increased by 29 /- per litre (1.22 per cent), 8 1/- per litre (3 .52 per cent) and 34 /- per litre (1.50 per cent), respectively. 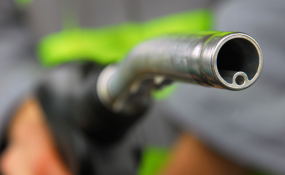 EWURA said the wholesale prices have gone up for Petrol, Diesel and Kerosene compared to the October publications by 28.74 /- per litre (1.28 per cent), 8 0.9 0/- per litre ( 3 .71 per cent) and 3 3 .58 /- per litre (1.58 per cent), respectively. Motorists in Dar es Salaam will pay 2,39 6/- per litre of Petrol, 2,3 8 5/- per litre of Diesel and 2,280/- per litre of Kerosene. Users in Uvinza (Lugufu) in Kigoma Region will pay highest price in the country of 2,640/- for Petrol, 2,629 /- for Diesel and 2,524/- for Kerosene. The regulator attributed the change in local prices of petroleum products mainly to the increase in the world oil market prices and BPS premiums. The retail and wholesale petroleum products imported through the Tanga port increased also compared to prices published last month with the exception of Kerosene prices that remained unchanged. The retail prices of Petrol and Diesel increased by 8 7/- per litre (3 .72 per cent) and 111/- per litre (4 .8 9 per cent), respectively. The wholesale prices of Petrol and Diesel have increased by 87.18 /- per litre (3 .9 2 per cent) and 110.58/- per litre (5.15 per cent), respectively. There was no new consignment of petroleum products imported through Mtwara port in the month of October thus making prices in the region for this month to remain the same. Since there is no Kerosene at Mtwara storage terminals, Petrol Station Operators in Mtwara, Lindi and Ruvuma regions are advised to source the product from Dar es Salaam and therefore, the retail price of Kerosene for those regions is based on the cost of the product received through Dar es Salaam port and bridging cost to the regions.